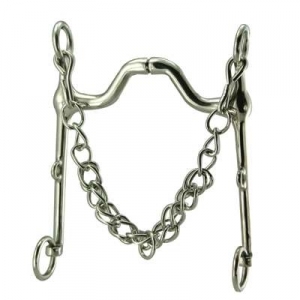 This happens to be one of our most popular Horse Bit models we have to offer. This product uses pressure instead of pain making it more convenient for your horse.Great prices on quality bits, horse supplies and many great equine products at Horse Tack Now. 100% satisfaction guaranteed. This high port bit measures 15'' in the mouth and has 7'' shanks. At Horse Tack Now, only the best High Port Bits are offered at discount prices.